I'm a simple dude. 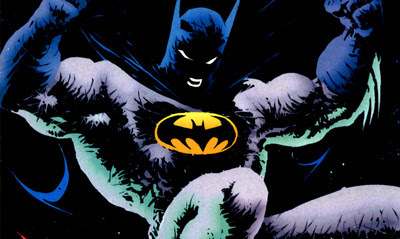 I'll take inter-connecting artwork over your foil embossed, die-cut, glow-in-the-dark, sealed-with-a-kiss 'collector's items' any day. 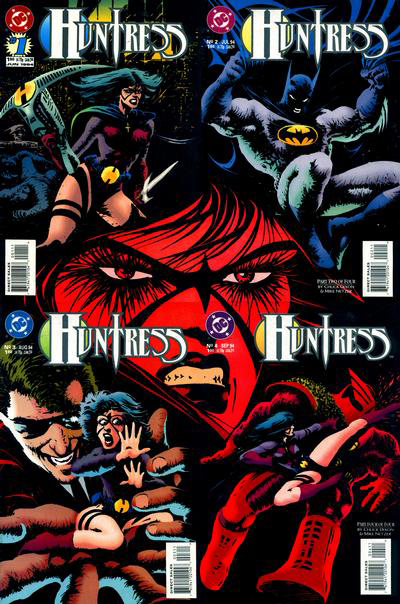 While those sweet treats of old are a bit of a rare find, I'm going to keep highlighting the best here on IADW, this time round with Michael Netzer's covers to Huntress Vol2 #1-4. Vertical brings with it enough challenges, without having to work out how to place so many Huntresses (Huntressi?) into the composition. Still, Netzer manages to pull it off nicely, well rewarding anyone who stuck around for the whole mini-series.